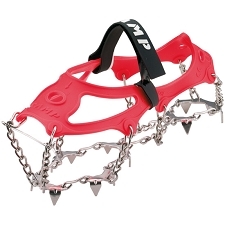 13 powder coated, hardened steel points for traction control on icy surfaces. 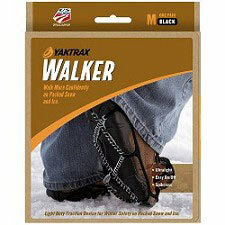 Compatible with almost all kinds of footwear. 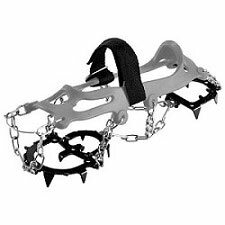 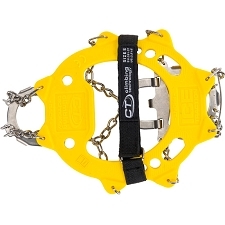 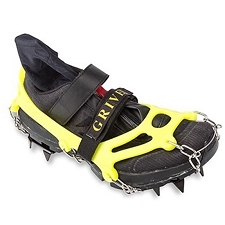 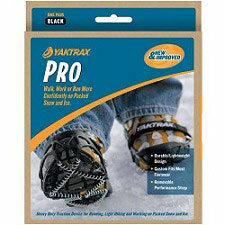 Designed to provide greater security when walking on snow and they are also practical for Trail Running. 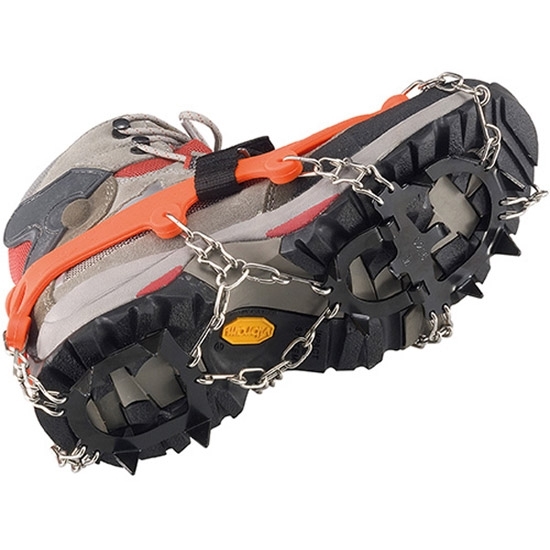 Note: Not suitable for Trekking or Mountaineering or for use or on steep icy slopes. 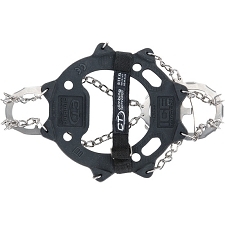 Zinc−plated steel links withstand the torque and strain of walking on uneven surfaces; a pivot point on the front platform provides a natural walking feel. 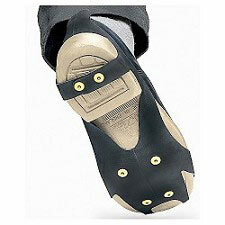 Strong nylon straps prevent shifting, 4 sizes fit standard shoe sizes from 35 − 47. 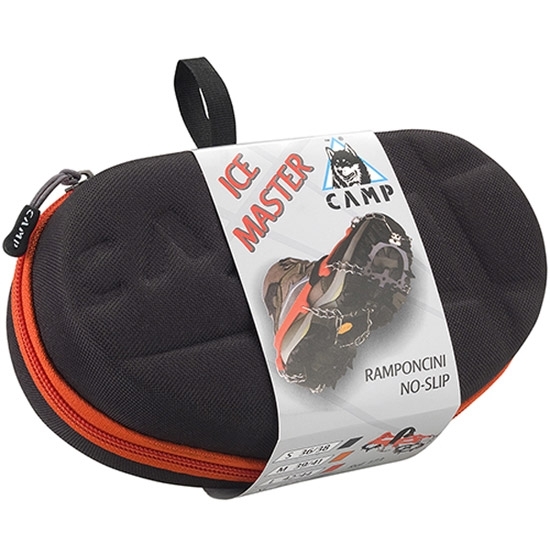 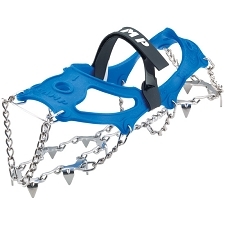 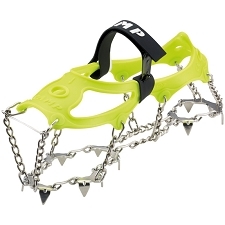 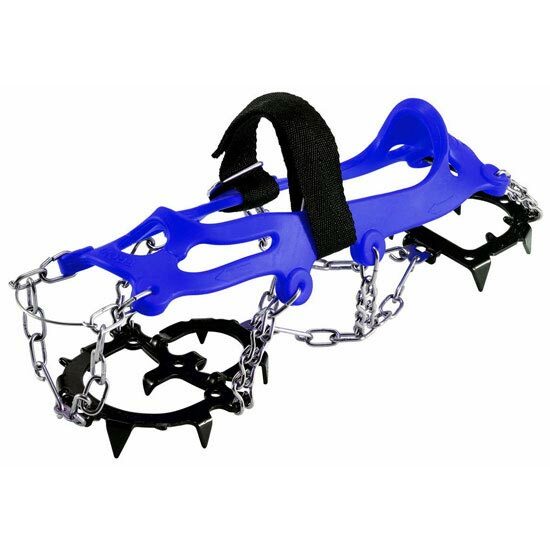 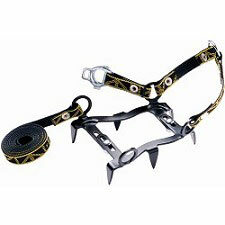 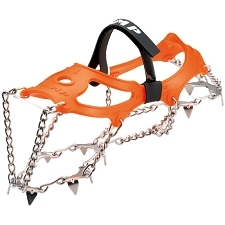 Note: NOT VALID FOR MOUNTAINEERING − this item is not a substitute for crampons. 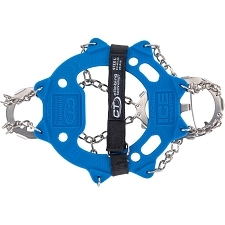 Customer Opinions "Ice Master XL -45/47 Blue"